Security matters are vital. Though, we are often skeptical to new age intercom systems and ignore their great value to our daily convenience but also security. The best news is that there is a huge variety of access control systems Toronto in order to fit the needs of each home. People do not only have the opportunity to gain access to their own property with ease but they can be sure of their security. Once inside the house, security is further reinforced since the value of telephone entry systems is centered in the capacity to allow you having control over visitors. Perhaps, it’s time to start thinking about the possibility that such systems might be the perfect solution for your home, too. Once you are done with locksmith Toronto solutions and deadbolt installation and all entrances are secured, it’s time to take a glance at what intercom systems can offer you. 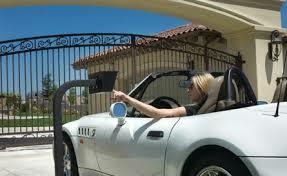 They are an excellent solution for either a detached house or an apartment building. In each case, the results in terms of security are spectacular! It’s now time to restrict access or let your loved ones in without having to do much. Coming in variations, most phone entry intercom systems are connected in the existing telephone line. That also means privacy, low cost and convenience. 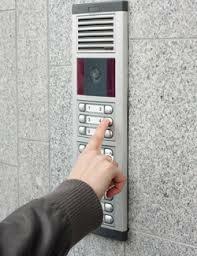 Having an external audio intercom system will enable you to screen your visitor before letting him in. What’s more convenient than checking who is standing at the gate or door than from speaking with him? If you want to take home security a step further, you will get an intercom with a video. Security cameras come handy when you want to keep control of your entrance or check who is standing there. CCTV installation Toronto is important if you want to verify that the man standing outside your house is indeed the milkman. Most of these audio/video intercoms also have the capacity to keep records, zoom in and out, and of course they are colorful. For those who travel a lot, there are even more high tech intercom systems. Web based intercoms give people the chance to keep control over their house from afar and via computers and smartphones. You will still have the capacity to communicate with the visitor, deny or allow access, and verify one’s identity with the only difference that you might be miles away. That’s the beauty of telephone entry intercom systems and why they are important for everyone’s security.